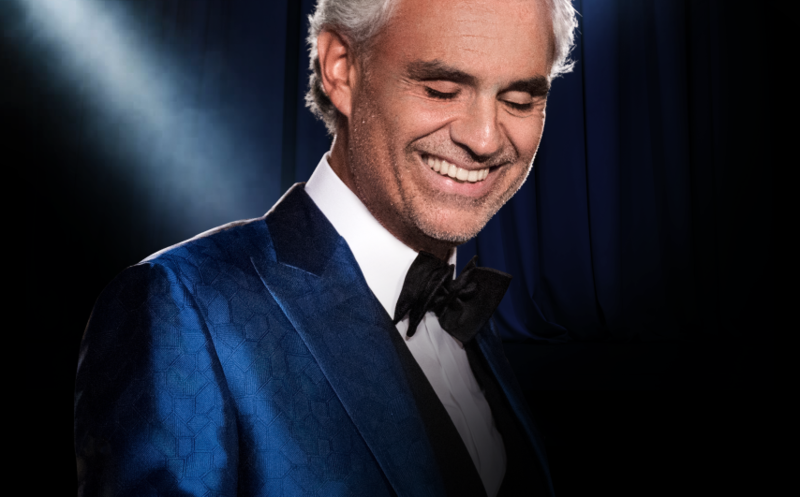 The Italian tenor superstar, Andrea Bocelli, returns to Norway and Telenor Arena on the 14th of March 2019! The internationally renowned singer also known as the “The Foruth Tenor” and sometimes “The Blind Tenor”, rose to prominence with songs such as “Time to Say Goodbye” with Sarah Brightman and “The Prayer” which he sang with Celine Dion, filling arenas across the world. And he is now returning to the Telenor Arena with a spectacular show with a mix of the classics as well as some of his most popular songs. The Tuscan singer, born with glaucoma, lost his sight at the young age of 12, but had already managed to learn both the piano and the flute, though he was first and foremost known for his tremendous vocal talents. As a tenor, he received his big break in his home country of Italy when singing a duet with Luciano Pavarotti, and internationally when he toured with the globally renowned Zucchero. Bocelli has to date sold more than million records worldwide, 2 million of which were sold Scandinavia. His album “Romanza” from 1997 is, with over 20 million records sold, the bestselling Italian album of all time. In 2015 Bocelli had one of his personal dreams fulfilled, when he performed his interpretation of famous movie songs on his 15th album; “Cinema”. A semi-autobiografical film about Bocelli “The Music of Silence” (2017) was also released this year and received a Golden Globe nomination. The film stared Antonia Banderas in the lead, giving an insight into the challenges Bocelli faced and how he became the internationally acclaimed star he is today.